VERO BEACH – The Vero Beach Police Department joined a growing list of law enforcement agencies in becoming an E-Commerce Exchange Safe Zone location. E-Commerce Exchange Safe Zones are designated meeting places for completing transactions and purchases performed on-line. 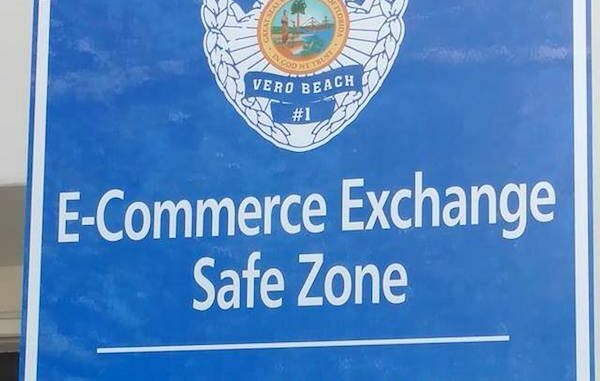 “The purpose of an E-Commerce Exchange Safe Zone is to provide a well-lit, public, video surveillance monitored spot, so our citizens could be safe when meeting a seller to complete a purchase from sites such as Craigslist, eBay, or Facebook,” Vero Beach Police spokeswoman Ofc. 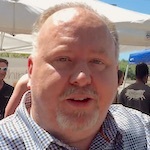 Anna Carden said in a statement. The west parking lot immediately adjacent to the Vero Beach Police Department, 1055 20th Street, now has a designated sign marking the area as an E-Commerce Exchange Safe Zone. The parking lot and the entire area in front of the police department are monitored via video surveillance 24/7. The location provides easy access and availability of immediate assistance for completing your transactions safely and efficiently. In addition to the front parking lot, VBPD Lobby area could also be utilized as a Safe Zone exchange site anytime. The lobby is available and open to the public, as well as monitored via video surveillance 24/7. The VBPD’s mission is to ensure safety and protection of all citizens and visitors, and they encourage people to utilize their E-Commerce Exchange Safe Zone anytime. Should Vero Beach residents ever require emergency assistance while utilizing the Safe Zone, they can dial 911 in Indian River County. For non-emergency assistance, call (772) 978-4600 anytime.